One of the most delightful afternoons in Ireland, I spent these two brothers. They live in a quaint house in which they were born and had never left. They are what is considered “gentlemen farmers” and local “storytellers” at their parish. 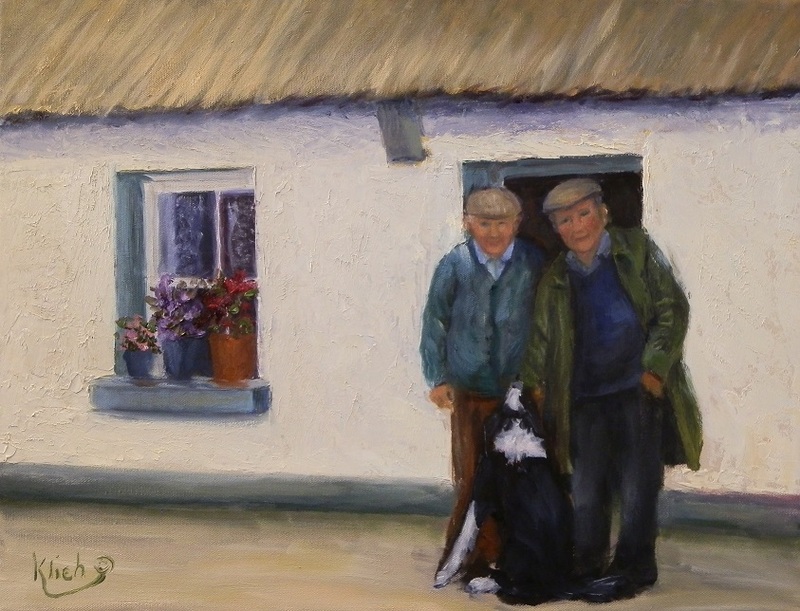 I could not resist capturing on canvas their geniality and warm, gentle, and friendly personalities on canvas. Of course I could not leave out their beloved dog, Laddie.